Find your rates and eligibility based on your membership type. *Receive a 20% discount when purchasing an annual membership. Show your Marshall spirit and join the Rec as a Marshall Alumni member! Alumni are defined as individuals that have attended Marshall University or are members of the Alumni Association. Proof of graduation or Alumni Association Membership is required. Children of non-students over the age of six may join the Rec. Children under the age of 6 are FREE until their 6th birthday. This membership type is for children of employees, associates, friends and affiliates, household members, etc. Our monthly Kid’s Night Out is free, and they may take advantage of discounts for camp, swim lessons and other services. Children of students over the age of six may join the Rec. Children under the age of 6 are FREE until their 6th birthday. Our monthly Kid’s Night Out is free, and they may take advantage of discounts for camp, swim lessons and other services. Families with 1 main member and an additional three members over the age of 6 can take advantage of this unique offer! Once the main member joins, make it a family affair for only $45 more, regardless of family size. Proof of common address required. Friends & Affiliates regularly make contributions to the University through their services and financial contributions. These members include: members of the Big Green Scholarship Foundation, Marshall University Foundation, employees of Cabell Huntington Hospital, St. Mary’s Medical Center, HIMG, King’s Daughters Medical Center, or VA Medical Center. Verifying identification is required, such as your employee ID. This membership type may consist of children, household members, spouses, and/or partners at least 16 years of age or older. This membership type can only be purchased in conjunction with an active member. Two of the following criteria must be met: Proof of joint financial responsibility, Same last name, Marriage license, and/or Same residence along with verifying identification. Associate members are employees of associated entities who work full-time on behalf of the university’s mission. These members include; Mountwest Community College, Marshall University Foundation, Inc., Big Green Foundation, Inc., Marshall Health, Marshall University Research Corporation, eFollette, Sodexo and all other approved contracted or outsourced employees working on behalf of Marshall University. Proof of associate relationship with Marshall University is required upon membership registration. Campus Recreation welcomes current employees, university retirees, and adjunct faculty/staff at the lowest membership rate available. Marshall Employees are eligible for payroll deduction. An auto-draft form must be completed and turned in at the Welcome Desk. Verifying identification is required, such as your Marshall ID or proof of retirement. 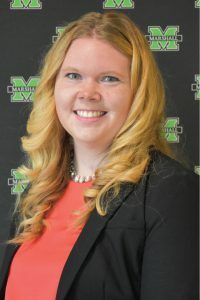 Recent Alumni are defined as individuals that have attended Marshall University within the past 12 months. Recent graduates will receive a one-time discount for the first year if joining within 12 months of graduation date. Must be a current Marshall University or Marshall Health employee. Have Marshall Health as Medical Home. Received written approval from primary physician to participate. Schedule and attend quarterly fitness assessments. Participation in individual or group activity at the Rec Center a minimum of four times per quarter. One-on-one Fitness Assessments (4 per year) that include cholesterol, blood pressure, glucose levels, and biometric screenings tests. Unlimited access to the Marshall Recreation Center. Hold PEIA Preferred Provider Benefit Insurance. * Have enrolled in the PEIA Weight Management Program (www.peia.wv.gov). Selected Marshall Recreation Center as your participating facility. Make copayments monthly to Marshall Recreation Center (PEIA membership). Commit 2 years to weight management program. Nutrition consultations with a registered dietician. Terms & Conditions: All memberships are subject to verification for proper classification. False and inaccurate information may result in a loss of membership and future access. Members will provide all documentation necessary to receive appropriate membership rates as determined by my membership class. Members understand that their membership is non-refundable and non-transferable. All payroll deduction (Full-time Faculty/Staff only) or Auto Draft memberships are on a monthly basis and can only be canceled at the request of the member on or before the 20th of each month. Failure to do so will result in membership renewal for the following month. It is the member’s responsibility to notify campus recreation immediately of any changes in bank/credit card information or payroll deduction. Campus Recreation will charge a $10 penalty if your credit/debit card is declined for any reason. Cancellation forms must be submitted at least 30 days in advance. Members also understand that the Marshall Recreation Center will be closed for a minimum of 1 week at the end of the spring semester for annual maintenance and repair as well as select holidays, campus closures and other emergency situations and my membership will not be extended or refunded due to these closures.